After breakfast explore Trivandrum- also known as Thiruvananthapuram, it is capital of Kerala and it is also known “Evergreen city of India”. Visit Sri Padmanabha Swami Temple- dedicated to Lord Vishnu built in 16th century. Later visit Sri Chitra Art Gallery- one of the minority traditional and contemporary Indian art gallery built in 1935, Napier Museum- built in 1855 with the Indo-Saracenic structure. After that visit Thiruvananthapuram Zoo- built in 1857 by Maharaja of Travancore. In this Zoo you can see Royal Bengal Tiger, Lion-tailed Macaque, Asiatic Lion, Nilgiri Langur, Hippos, Indian Rhinoceros, Zebras, Giraffes and more animal includes a Snake farm. In the late evening drive to Kovalam. On arrival transfer to the hotel and overnight stay in hotel. After the breakfast explore Kovalam- known as the paradise of the south India and most famous for Ayurvedic Treatments and varieties of fish. On arrival transfer to the hotel. After relexation enjoy Ayurveda massage. 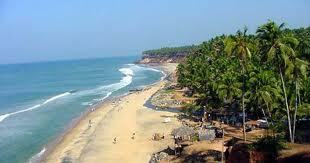 After that expolre the Kovalam beach and in the evening drive to Varkala. On arrival transfer to the hotel for overnight stay. After the breakfast explore Varkala- famous for temples. Visit Janardana Swami Temple- this 2000 year old temple dedicated to Vishnu and also known as Varkala Temple. Later visit Sivagiri Mutt- famous pilgrimage centre of social reformer Sree Narayana Guru. In the evening drive to Alleppey. On arrival transfer to the hotel and overnight stay in hotel. After breakfast, drive to Kumarakom- famous for backwater tour with a wide range of flora and fauna, through houseboat. 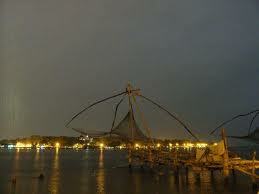 Moving towards Kumarakom, enjoy the viewing of nature beauty with ethnic Kerala cuisine. In the evening enjoy the fishing with the view of tiny birds flock. Overnight at the houseboat. After breakfast, drive to Periyar- famous for Periyar National Park and Wildlife Sanctuary, on arrival transfer to hotel. After relaxation visit Periyar National Park & Wildlife Sanctuary- known as reserve for Elephants and Tigers. In this sanctuary enjoy the Safari with the attractive view of Tigers, Elephants, Sambar Deer and more animals flocks around the Periyar lake. Overnight at hotel. After breakfast visit Spice Garden- to view different varieties of spice like Clove, Pepper, Vanilla, Tea, Ginger etc. Later drive to Munnar- world famous hill station with native flora and fauna, on arrival transfer to hotel. After relaxation visit Anamudi- most famous and ideal place for trekking. Overnight at hotel. After breakfast visit Rajmalai wild life sanctuary- known as Eravikulam National Park and it is the house of Mountain Goats, Ruddy Mongoose, Dusky Striped Squirrel, Atlas Moth, Nilgiri Langur etc and later visit Kannan Devan Hills- Famous for Tea and Coffee crops. Overnight at hotel.